Sunroad acquired this 67,000-square-foot building as part of a 1033 exchange. 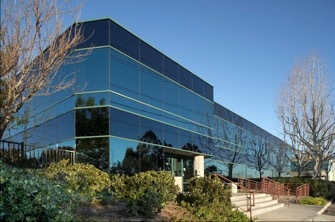 Located immediately adjacent to McClellan-Palomar Airport at 5858 Dryden Place and ideally suited for corporate headquarters and manufacturing space, this property features an ideal mix of office, R&D/manufacturing, and storing/warehouse. Originally occupied as the headquarters for Callaway Golf under a long-term lease, the property is currently marketed for a single tenant user. Sunroad has successfully leased the ground floor to 22 separate floral trade wholesalers, which comprise San Diego’s largest wholesale/distributor marketplace. By repositioning the asset, Sunroad was able to maximize the value of the asset and create a new product which cannot be replicated. Sunroad has further repositioned the 2nd floor space as creative office. Within 90 days of completion, over 40% of the 2nd floor had been leased.